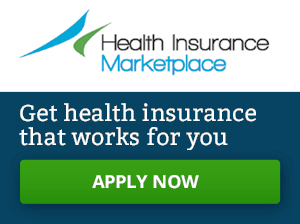 OPEN ENROLLMENT ENDS IN 2 WEEKS – BUT DOES PUBLIC KNOW? The latest tracking poll from the Kaiser Family Foundation asked people if they knew when the deadline was to enroll for health insurance on the ACA marketplace and more than 3 out of 4 people either said they didn’t know or gave the wrong answer which demonstrates the importance of doing outreach and educating the public about the coming deadline for Open Enrollment Year 6 (OE6). To learn more about what is included in the Kaiser tracking poll or for a link to it, check out our news item. The need for effective outreach is underscored by the fact that OE6 is off to a slower start. You can read more about thus in the Health Affairs blog post. 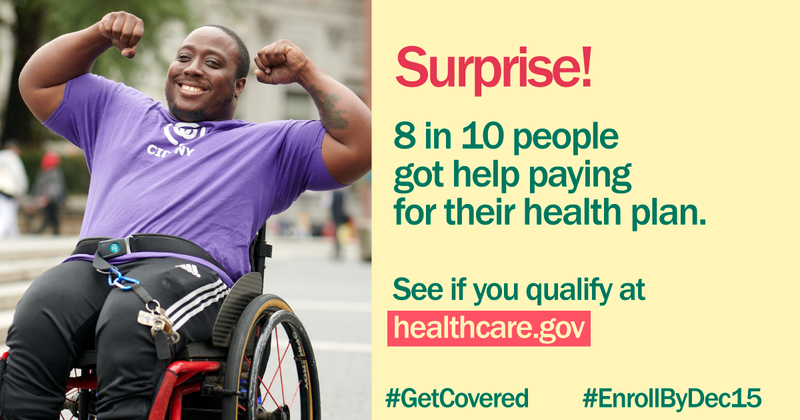 Understanding the importance of outreach, AAHD is working with Community Catalyst and other partners in educating individuals about enrolling for health insurance for 2019. To read more about what this project will do, or for a link to access the online drive of images like the one below which can be used to highlight OE6, check out our blog post. Last week was our Disability Week of Action for OE6. If you missed anything, check out our blog post on the schedule of events, our news item on talking points and available resources and our Thanksgiving eve blog post on Why We are Thankful for Medicaid. Previously, we highlighted a Twitter chat that the Georgetown University Center on Health Insurance Reforms (CHIR) was conducting for navigators to ask questions they had about assisting consumers with enrollment. The CHIR blog has posted a new entry highlighting the “Top 5 Questions” which they got during that Twitter chat. The CHIR blog also has an entry which looks at whether health insurers can ask about health history in an enrollment application. Given the recent changes which allow insurers to offer plans outside of the ACA’s consumer protections, this blog post highlights the importance of looking for these questions. The Kaiser Family Foundation has a new report which shows “How ACA Marketplace Premiums Are Changing by County in 2019.” It includes an interactive graphic which allows you to see how much premiums of change by county based on the level of coverage and the individual’s income. In a prior news item, we highlighted the effect that the 2018 elections had on possible Medicaid expansion in some states. The Kaiser Family Foundation has a new interactive map which allows you to see what is going on in every state as it relates to Medicaid expansion. Previously, we have reported on the loss of Medicaid coverage that has occurred in Arkansas as a result of the new Medicaid work requirements. The latest numbers show that over 12,000 people have lost Medicaid coverage in Arkansas as a result of failing to comply with the work requirements. AAHD has joined a letter with over 50 organizations writing to HHS objecting to the waiver that has resulted in the loss of coverage for these individuals. If you want to learn more about work requirements, we previously published a blog post which details what states are doing regarding adding work requirements to their Medicaid programs.